An internal report of the clerical regime has mentioned that subsequent to interrogation of hostages in a prison in Baghdad by the torturers from the mullahs’ Ministry of Intelligence, and the Baghdad Embassy, and threatening to extradite the hostages to the clerical regime (as it was mentioned in the statement 72 of the National Council of Resistance of Iran on the hostages, dated October 2), the hostages have continued their hunger strike and have even turned it into a dry hunger strike in recent days. 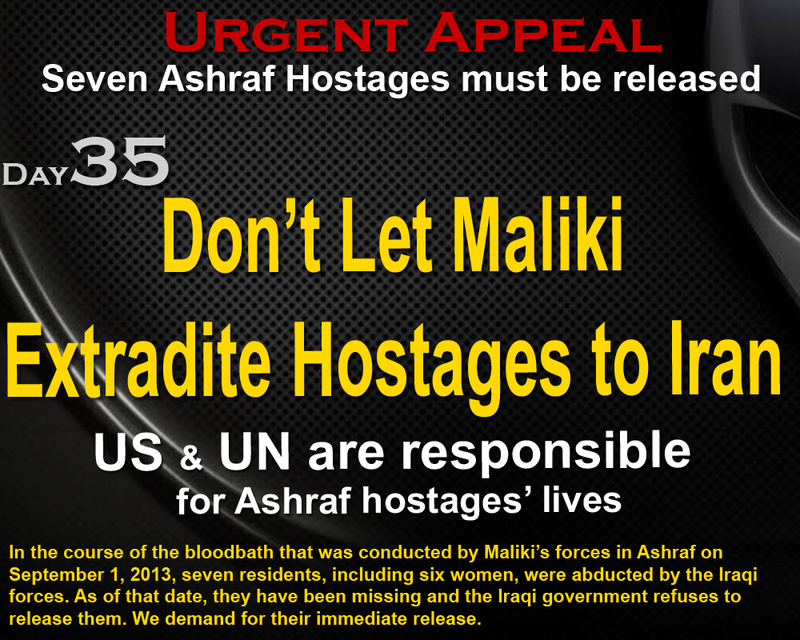 While expressing its deep concern, the Iranian Resistance calls for immediate visit of the UN representatives and the U.S. Government from the hostages who are on hunger strike and to obtain information on their condition. The hostages are undoubtedly kept in prisons under the control of Iraqi Prime Minister and his National Security Advisor. The Iranian Resistance has obtained new documents from inside the clerical regime that are presentable to any international competent court.